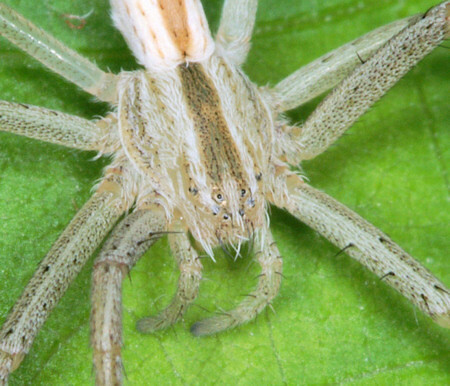 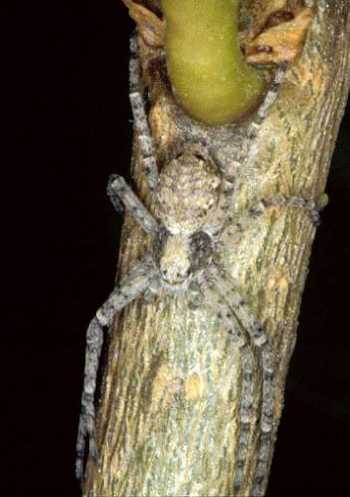 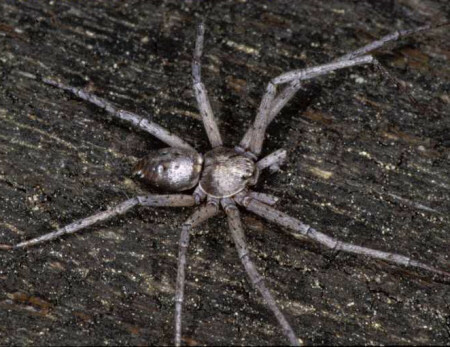 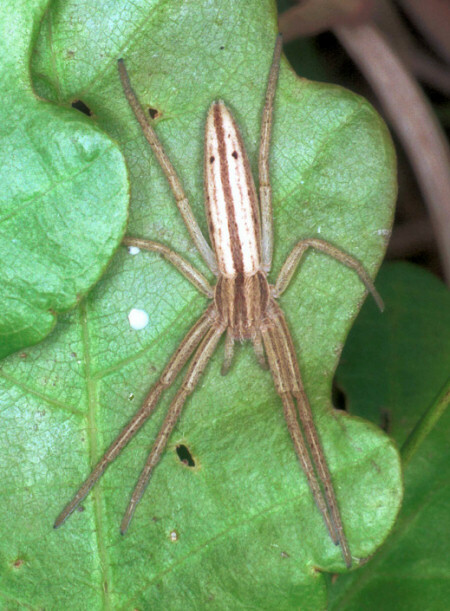 The spiders of this genus can be recognized by the fact that the second leg pair is longer that the other legs. 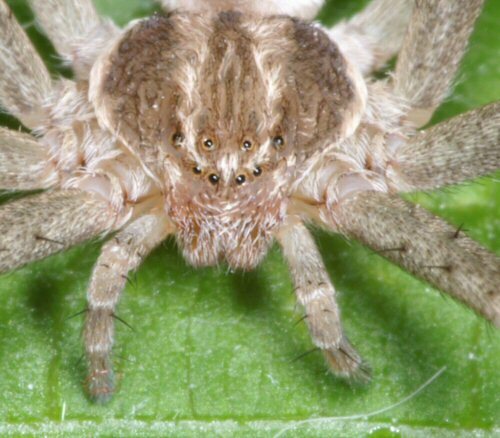 Their size varies between 3 and 7 mm. 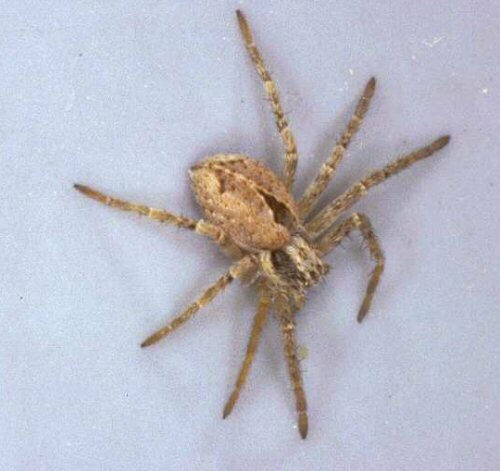 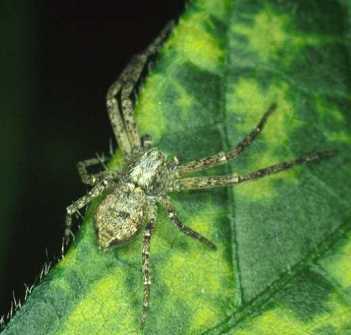 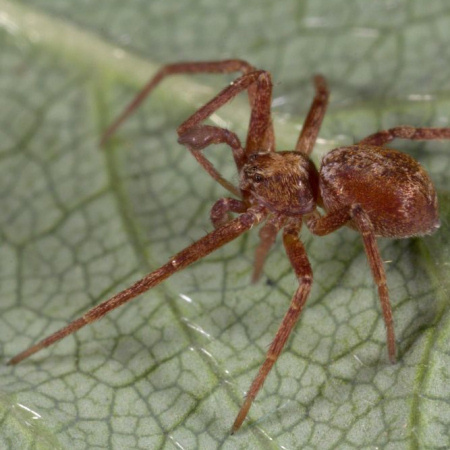 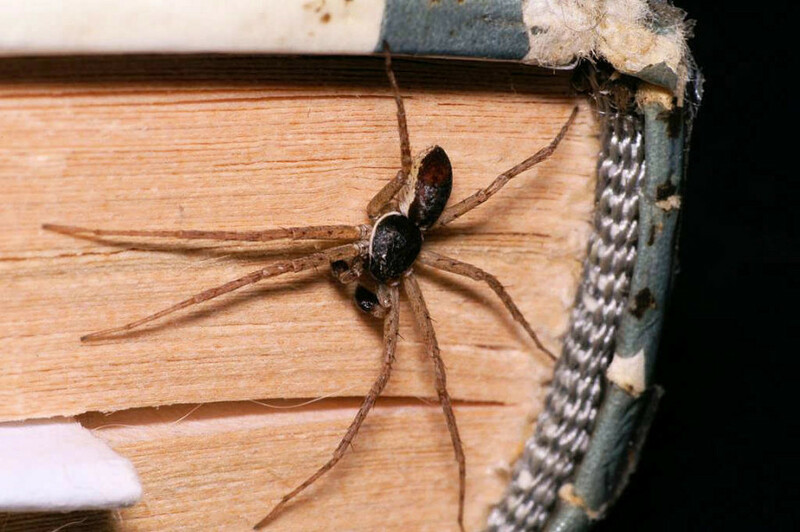 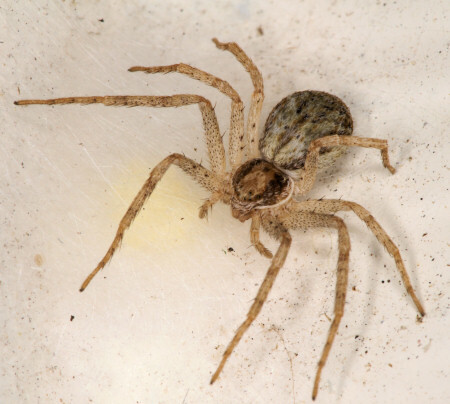 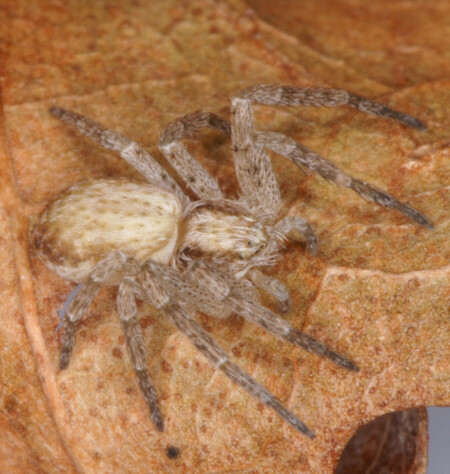 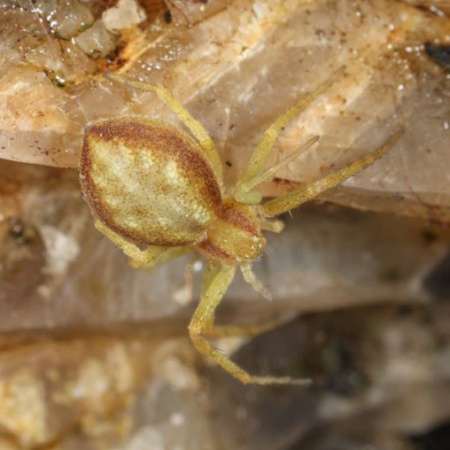 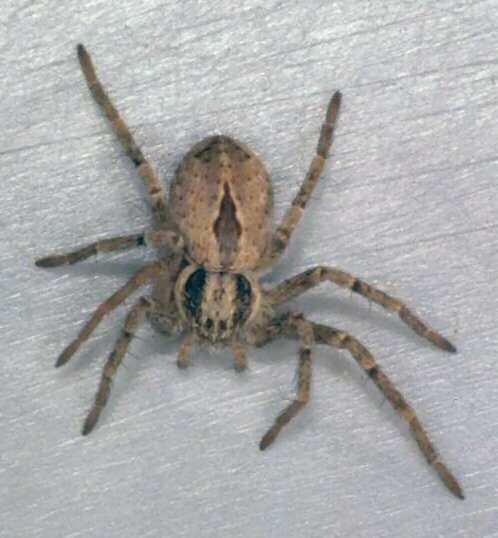 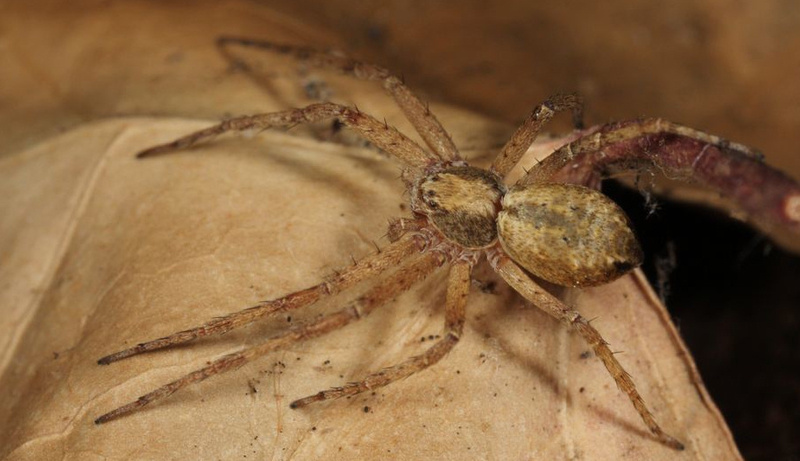 Philodromids are 'quiet' spiders that are well camouflaged but can run very fast to escape or pursuit their prey. 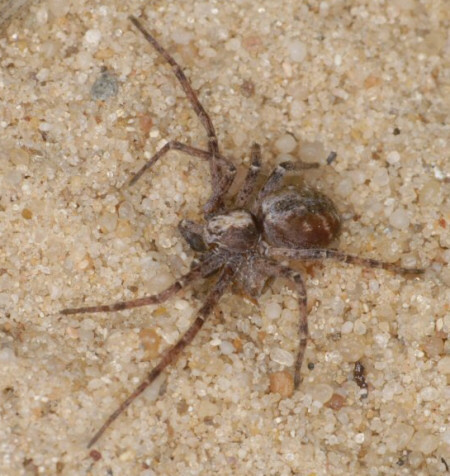 When they flee, they run sideways. 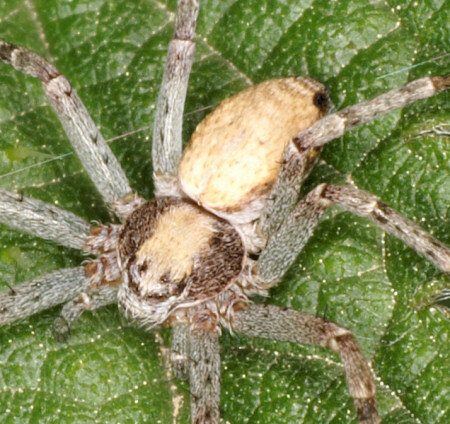 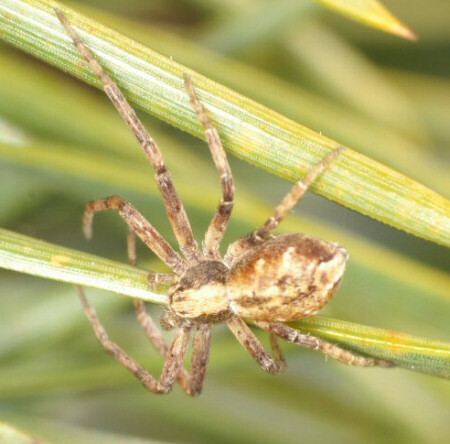 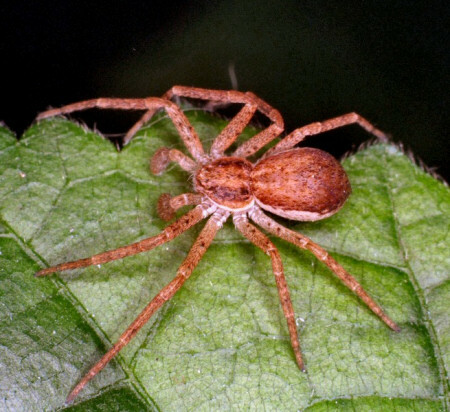 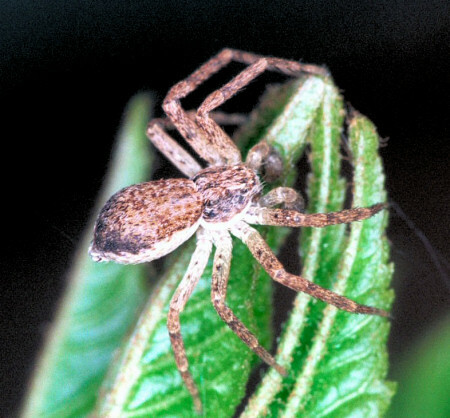 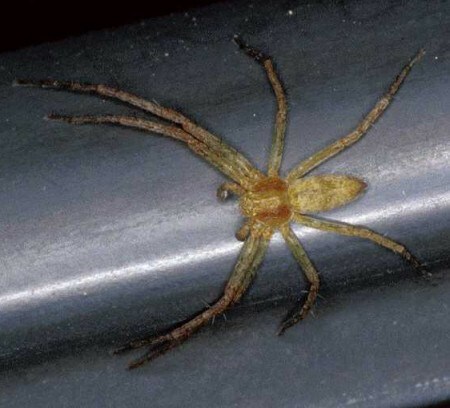 The difference between male and female can be great, as the pictures of the Philodromus dispar shows, but in other species, the sexes may be similar. 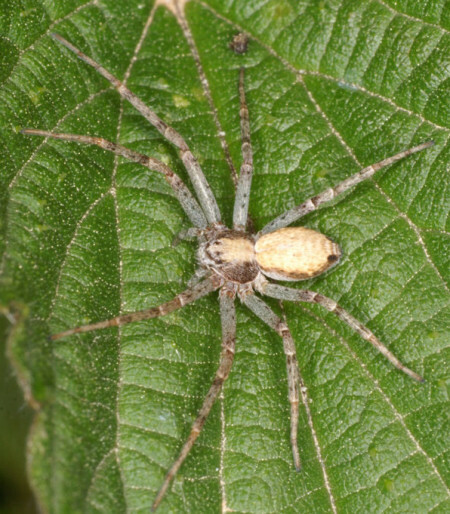 Philodromus aureolus male. 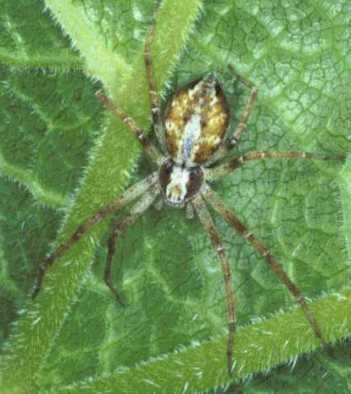 Philodromus aureolus female. 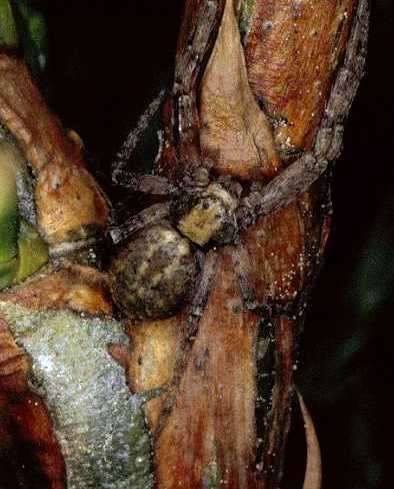 The male its colour varies between dark brown and black. 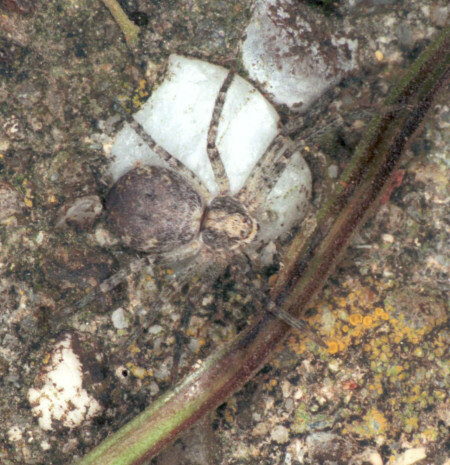 Left, a male just before balooning, that is flying away with the wind. 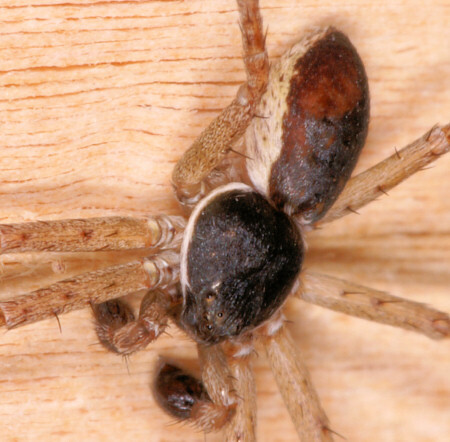 The juvenile turns black when becoming an adult after several changes of their skin.Philodromus dispar male and female. 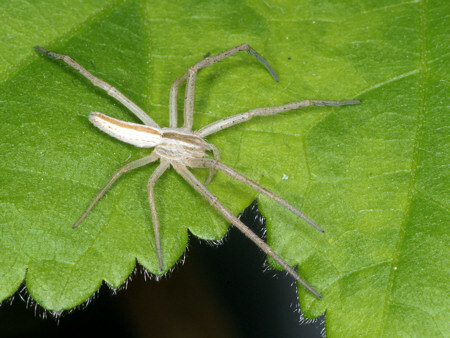 Philodromus emarginatus female. 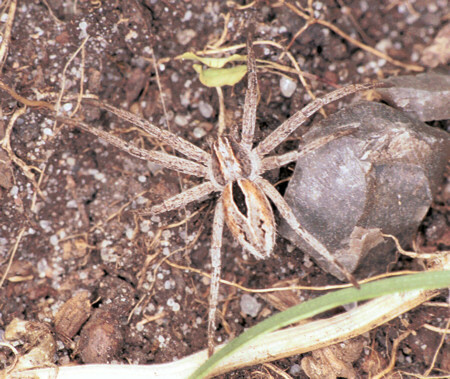 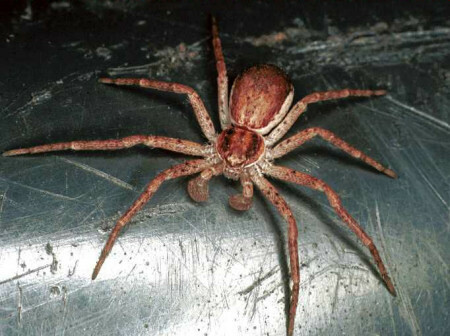 A pinkish brown coloured spider with less defined marking. 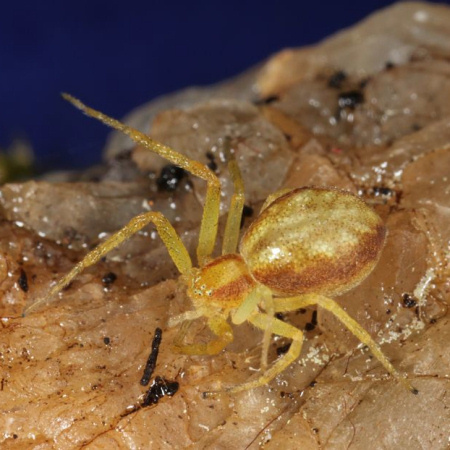 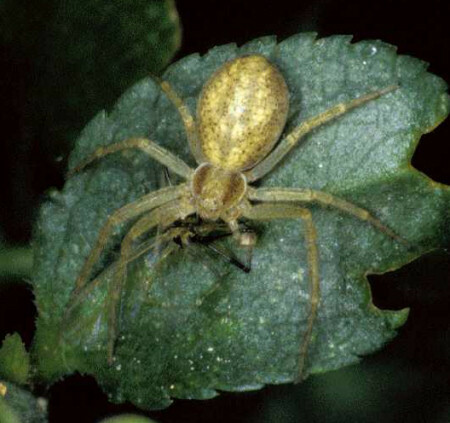 Similar to Philodromus aureolus and Philodromus cesptium. 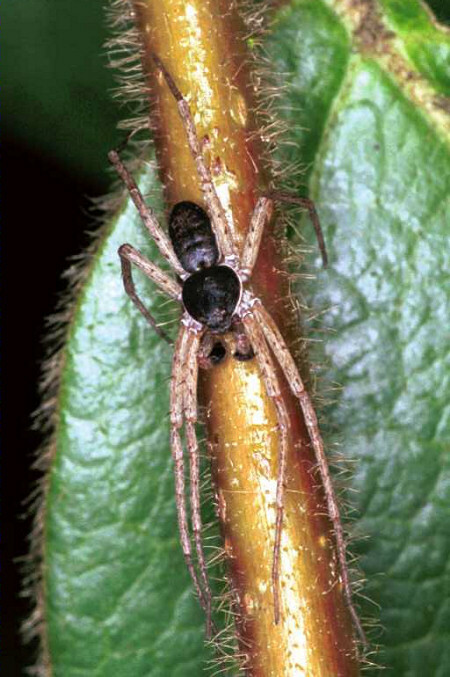 Philodromus rufus male. 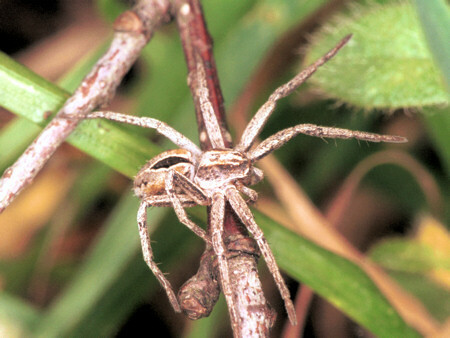 Philodromus rufus male. 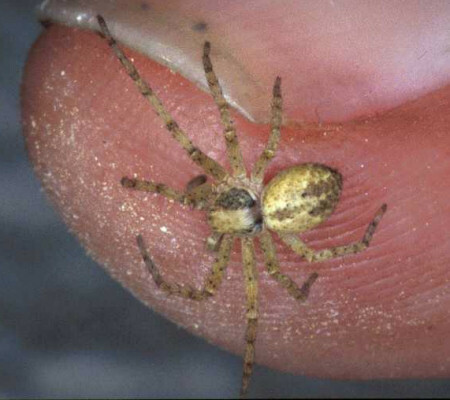 Philodromus ZZ007, ZZ008 and ZZ015. 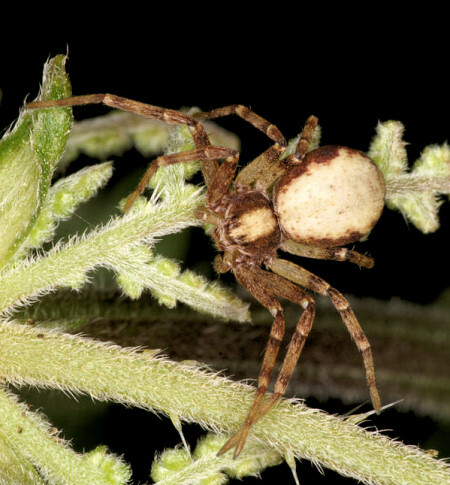 A beautiful crab spider that can be easily recognized by the two spots and its elongated abdomen. 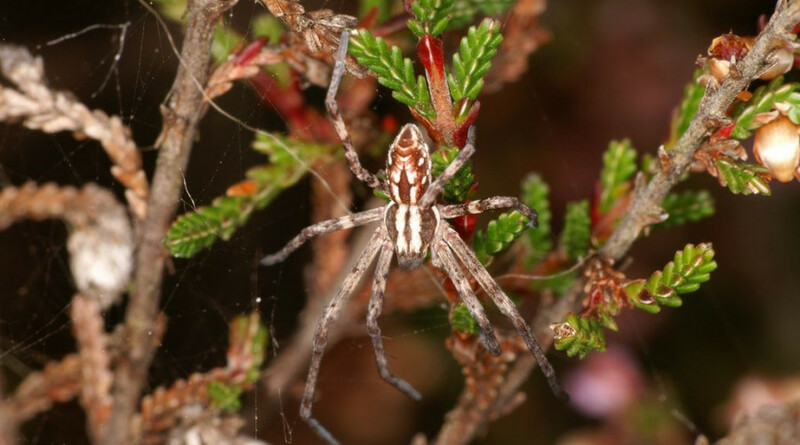 Only two species live in this NW Europe. 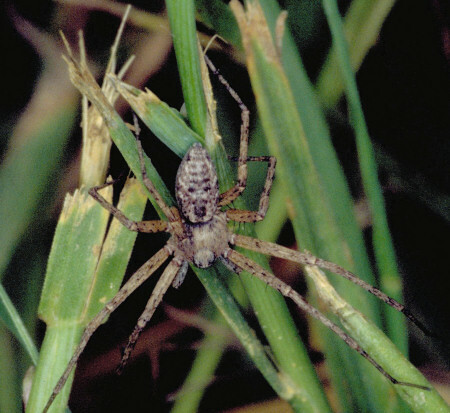 Its size is about 8 - 10 mm and it can be found on long grasses. 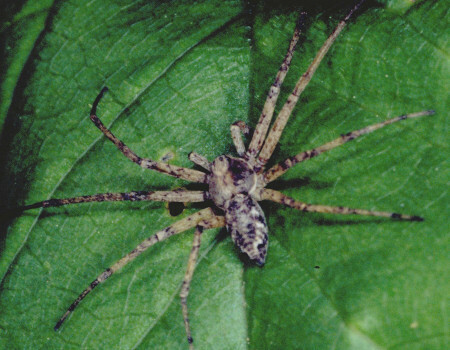 Seven species occur in NW-Europe. 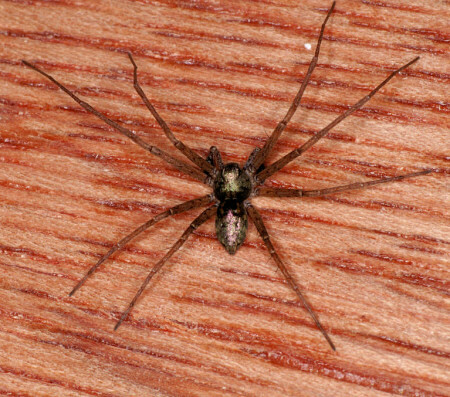 They have an elongated abdomen with a clear cardiac mark. 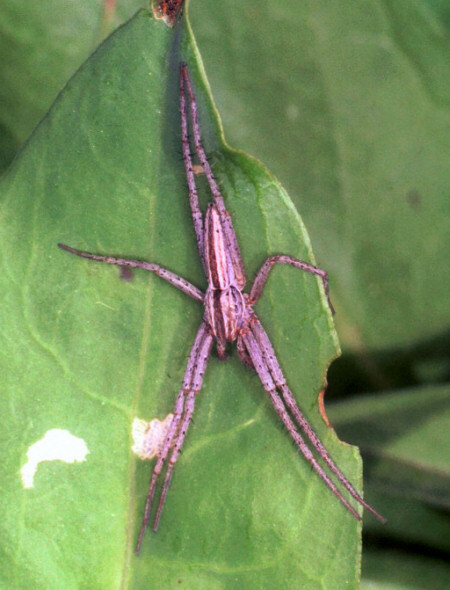 They can be found on ground level between low vegetation. 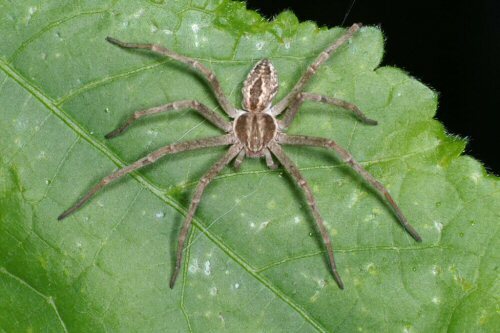 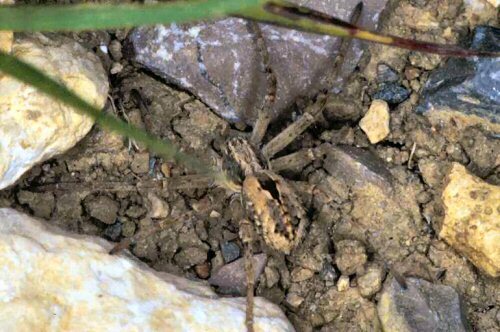 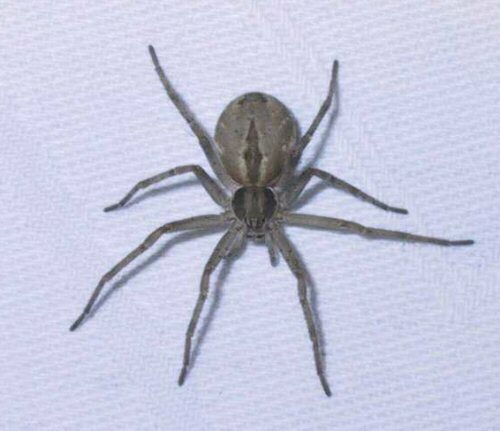 They can be easily mistaken with Philodromus and the wolf spider Alopecosa.